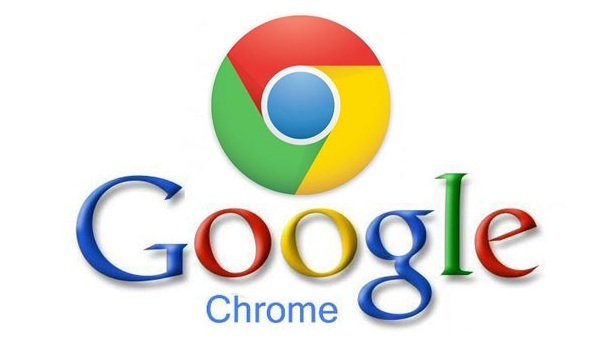 Google Chrome is one of the most popular web browsers with many hidden functionalities. If you know these hidden tricks then it can actually help you a lot. 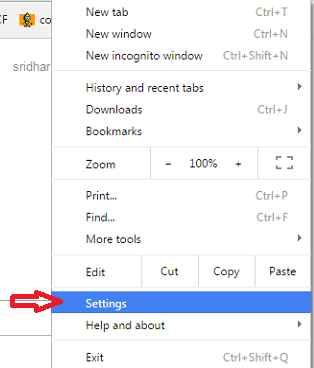 Google chrome is full of shortcuts and hidden features that can help us. We can do a lot of things with our Chrome browser. We can make our work easier and do a lot more things. But for that you need to know about these features well. Let’s have a look at some of these tips and tricks that may be useful to you. *Click on the star to bookmark the page. *Now in the pop-up box that appears ,clear the field Name and Click Done. *Right click on the tab that you need to pin and choose the option ‘Pin tab’. 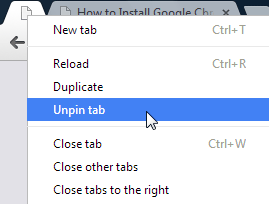 *To unpin the tab just right click on it and choose ‘Unpin’ option. Another tip to mange multiple tabs is that we can select multiple tabs by pressing and holding the Shift key and simultaneously clicking at the top of the tabs. Then all the tabs will be selected. Then you can move them together or can close them by pressing Ctrl+W. We can carry out arithmetic operations in Google Chrome. The Google Chrome Omnibox can act as a calculator. We can just type the calculation and in the auto-suggestion the result will appear. In the same way we can also do conversions. Just type what you want to convert and you can see the result. Sometimes when we try to download and access some PDF files, they may be password protected. In that case you may see an error message and can’t get access to the contents. But there is a trick to access these contents without the password. Let’s see how. *Open the print dialogue box by pressing Ctrl+p. Now click on the Change button under Destination. *Now under Local Destination, choose ‘ Save as PDF’. *Now just click the Save button. The PDF will get saved and you can view the contents. You can also share the PDF with others without the password. To view the recently opened pages in the browser you can go to the history page. But we have a more easier access to the recent history. Just click and hold the back button. This will show you the recent pages and the option to view the whole history. While browsing a page if you want to search a particular text in it, then there is an easy way to do that. Just select the text you want to search and drag and drop it to the search bar .Also you can just right click on it and then choose ‘Search google for..’ option. Google Chrome will have data about every website you visit. They use these data to give you personalized add suggestions. 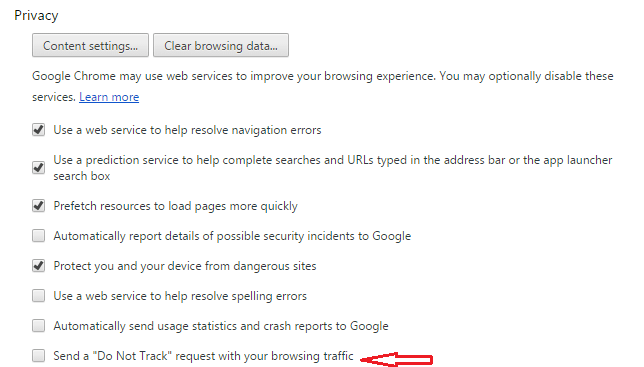 But if you do not want your data to be sent to google, then you can enable the do not track option. For this just follow these steps. *Choose Show Advanced Settings option. 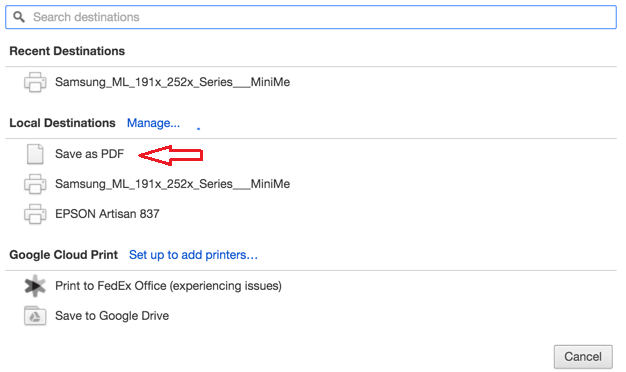 We can save any web page as PDF in Chrome by following simple steps. The steps are same as in 4th tip. 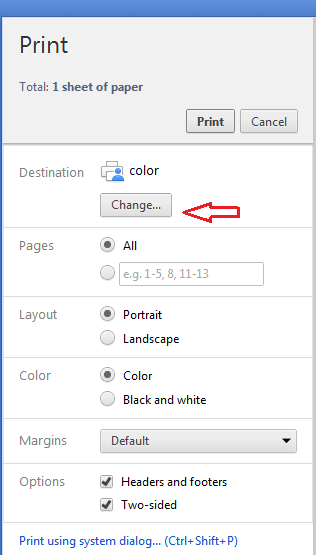 Just open the print dialogue box and change the destination to save as PDF. 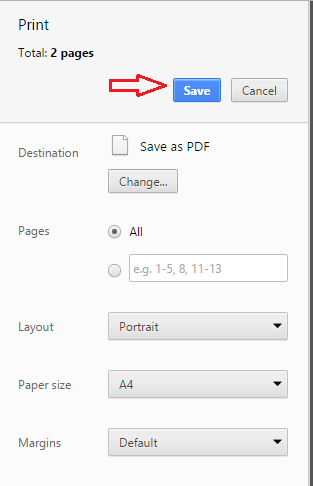 Then you can save the web page as PDF. In case if you find it difficult to load a web page, then you can have access to the cached version of the web page stored by Google Chrome. For this just type ‘cache:’ before the website name and press enter. This will show you the cached version of the website. We can open a text editor in our browser. We can take notes in it easily . For that, just type or copy “data:text/html,<html contenteditable> ” in the address bar and press enter. Then click on the screen to see the cursor. You can take notes in this screen now. Hope these tips and tricks will be useful to you. Now you can do a lot more than just browsing with your Google Chrome.